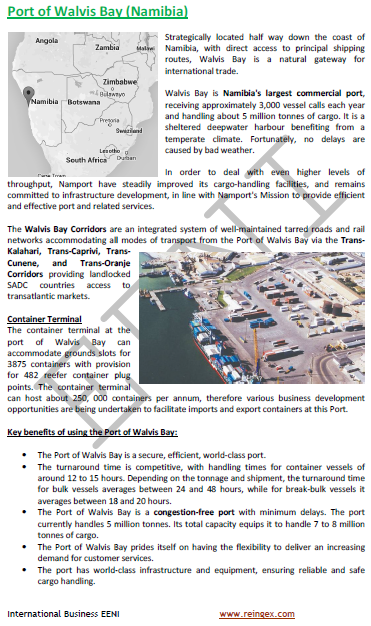 Syllabus of the Online Course (Subject): Port of Walvis Bay (Republic of Namibia). Access to Botswana, Zambia, DR Congo, Zimbabwe, Angola, and South Africa. 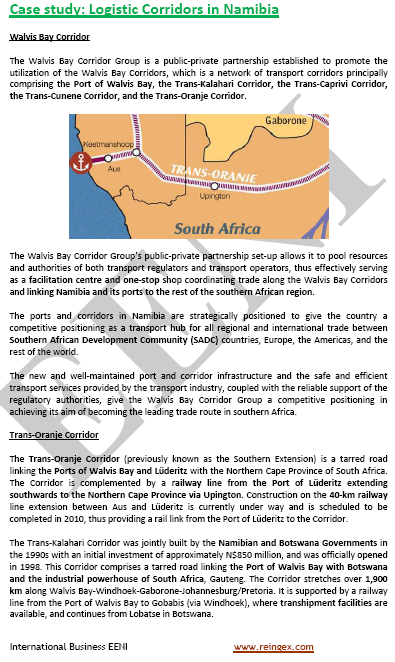 Description of the Online Course: Ports of Namibia. Main body: National Port Authority. More information about Namibia (African Portal - EENI Business School & HA University). The Port of Walvis Bay belongs to Southern African Economic Area (African Civilisation).